Our second day took us from the Chisos Mountains in the heart of Big Bend National Park to the park’s easternmost point at Boquillas Canyon. 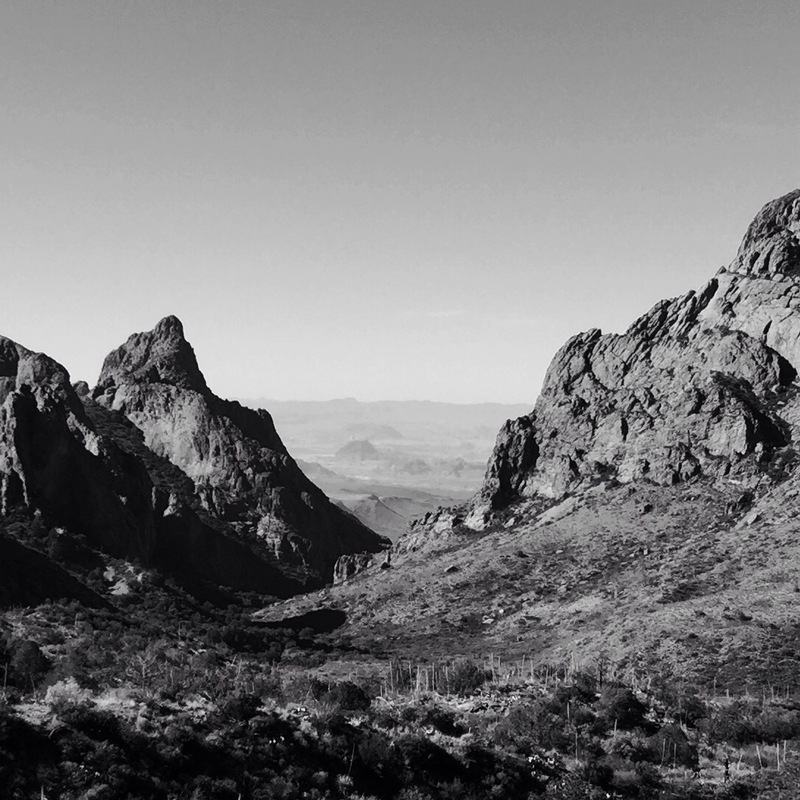 The Chisos are distinguished, in part, by being the only mountain range in the U.S. completely contained within the boundaries of a national park. The route through the mountains to the Chisos Basin includes a 7-mile stretch of road built by the Civilian Conservation Corps in the early 1930s. Using only picks, shovels, rakes, and a dump truck that had to be loaded by hand, crews created hairpin turns and narrow lanes that still provide drivers an unforgettable experience. From the visitor’s center, we enjoyed one of the most popular views in the park — through The Window, a V-shaped break in the mountain chain providing a peek at the basin beyond. The floor of The Window is formed of smooth stone, providing a pour-off that channels rainwater to the desert below. Descending the Chisos, we headed to Boquillas Canyon, one of three narrow canyons along the Rio Grande within the park. Boquillas isn’t as deep or sheer as Santa Elena, nor as rugged as Marsical, but it’s still rugged and scenic, especially against a dramatic background of white limestone cliffs. Along the way, we stopped at an overlook to the Rio Grande, where we had a somewhat unnerving experience. Arriving at the site just as two vans filled with tourists were about to leave, we soon found ourselves alone to take in the view. Or so we thought. We noticed nearby a display of hand-crafted figurines carefully placed on a large, flat rock, along with a handmade sign and a plastic jar for donations. After taking a few pictures, we turned to walk back to our truck. Suddenly, two men appeared, seemingly from out of nowhere, speaking to each other in Spanish. They must have been waiting beyond the ridge or in the brush. We were startled because we thought we were completely alone, and we felt particularly vulnerable because we had no cellphone reception and no way to call for help. Fortunately for us, the men were only interested in checking on any donations that had been left by the tourists in the vans and not in doing us harm and stealing our truck (which had our beloved dogs waiting inside). We finally made it back to basecamp around sunset, where we enjoyed a hearty bowl of Cliff’s pasta fagioli soup before ending the evening with a campfire under moonlit skies. November 28, 2015 in Adventures, Destinations.